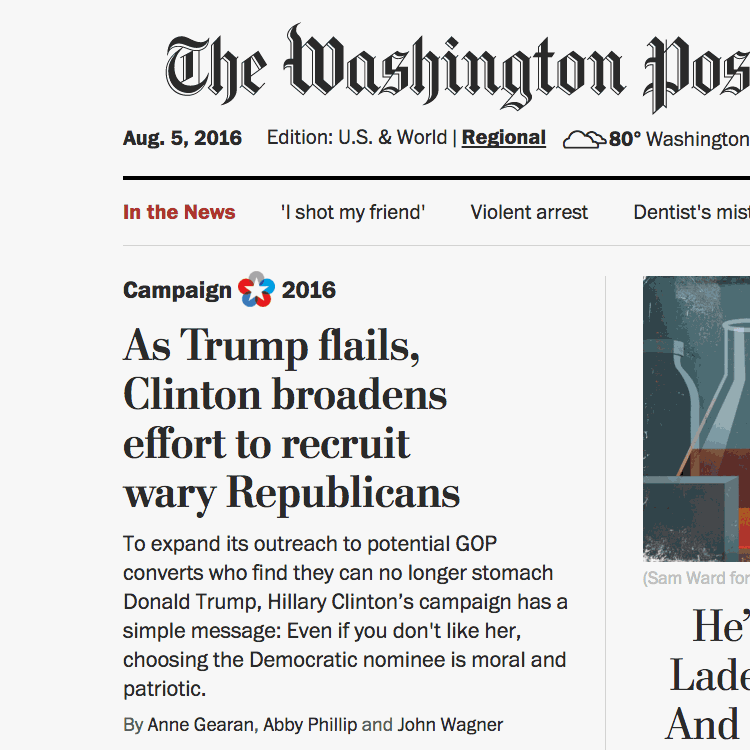 The Washington Post uses this icon to denote its election coverage. The circular shapes that form the star are appropriate for this era of endlessly talking heads and political pundits. Just for fun we created an animated Pac-man-esque version of the campaign logo.